More and more adults are faced with the challenge of caring for aging parents or other loved ones that need assistance and most are not prepared for the physical and emotional challenges this could entail. Caregiving can be stressful and overwhelming, but Constantly Caring LLC. can help. 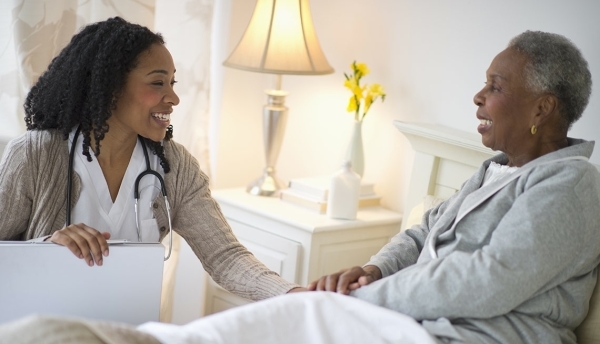 Private duty in-home care can include anything from companionship care, such as grocery shopping and meal preparation to personal care, such as bathing and toileting. We are available as much or as little as you need us; whether it’s several hours a week, several hours a day or full time support. Our goal at Constantly Caring LLC. is to provide first class personalized service utilizing a holistic approach for seniors and other individuals needing assistance so they can remain comfortable and independent at home. ​When your parent or loved one first starts showing signs that they need assistance, companionship care is a good place to start and can provide the basic support to help your parent or loved one remain independent. A personal care assistant can often enable a parent or loved one to stay in their own home rather than having to move to an assisted living facility or nursing home. Personal care assistants can also help with any task that falls under Companionship Care. Many times when individuals are caring for a parent or loved one, they neglect to take care of themselves and experts agree that this can take a significant toll on their physical and emotional health. If you are personally caring for your loved one, we can provide respite care so that you can have a chance to get some much-needed rest and recharge your batteries. We’ll provide the companionship for your parent or loved one while you enjoy some of your favorite activities. Taking a break for a few hours here and there can make a huge difference in your week! We can provide you with a free consultation and assessment to help you get a better understanding of the different resources that are available to address your specific needs. Constantly Caring LLC. care provides valuable social benefits, decreasing isolation and improving quality of life. Clear communication with our clients and authorized family members is imperative to ensure the highest level of service. That is why Constantly Caring LLC. provides 24/7 electronic access to our care plans, care schedules, caregiver notes, and more.